On Dec. 1 it will be a year since FBI agents showed up at LA Unified’s headquarters with a federal grand jury subpoena and carted off 20 boxes of documents related to the district’s controversial iPad program. Since that day little if any new information has been publicly revealed about the investigation’s status, and that is primarily due to the secrecy laws that surround federal grand juries. Unless the jury issues an indictment or an investigative report, the evidence and testimony is by law to remain forever sealed, and leaks of federal grand jury evidence are extremely rare. With almost a year passed since the subpoena, it is possible the grand jury found no evidence of wrong doing and has dissolved, but James A. Cohen, an associate law professor at Fordham University, said it’s unusual — though not impossible — for a grand jury investigation to take more than a year. “It’s coming up on a year in December. It’s a long period, no question. It’s not that unusual, but it is still on the unusual side,” he said. Cohen helps run Fordham’s Federal Litigation Clinic, which represents defendants charged with federal crimes; he has also written about and researched the grand jury system. Cohen pointed out that an LA Unified school board agenda item from August, as was reported by LA School Report, indicates that the district’s lawyers might have foreseen trouble coming from the investigation or a related lawsuit. Cohen said this is an important indicator. “I think what it means, what it has to mean, is somebody, a civil lawyer representing (LA Unified), has gone through the documents that were sent to the FBI and concluded that there is liability out there,” Cohen said. The grand jury subpoena in particular sought information related to the bidding process for the massive $1.3 billion Common Core Technology Project. 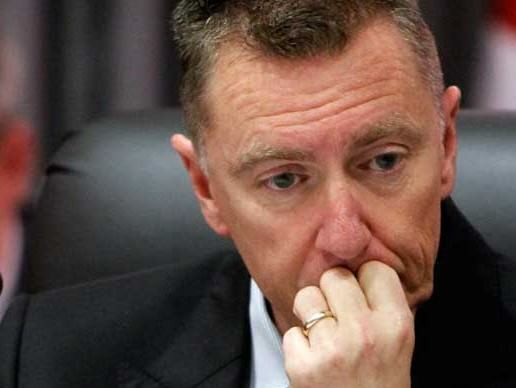 The controversial program, which aimed to give every student and teacher in LA Unified a computer tablet, was one of the major initiatives undertaken by former Superintendent John Deasy, who resigned 13 months ago. Deasy paused the purchase of new iPads under the contract in August of 2014 after emails surfaced showing that he and a deputy, Jamie Aquino, had a close relationship with Apple and Pearson, a company that provided educational software for the iPads. Deasy’s successor, Ramon Cortines, cancelled the contract the day after the FBI seized the documents and later abandoned the goal of giving every student and teacher a tablet. The emails showed that both Deasy and Aquino were in close contact with Pearson and Apple before the contract was awarded. Aquino was a former employee of a Pearson subsidiary, and to some it looked as if the bid was rigged in favor of Apple and Pearson. In media interviews, both Deasy and Aquinio denied any wrong doing. Aquino had already left the district when the emails were revealed, and Deasy resigned just a few months later. While the targets of the FBI investigation are unknown, Cohen said anyone indicted on charges related to bid rigging would be facing the potential of serious jail time. “Mail fraud and wire fraud are favorites of federal prosecutors. You’ve got all sorts of bribery statutes. Those would be the kind (from bid rigging). There’s also conspiracy and aiding and abetting,” he said. While there is supreme secrecy surrounding federal grand juries, an exception is that anyone called to testify before a grand jury is free to speak publicly about their own testimony. Both Deasy and Aquinio did not respond to a request to comment on this story or to discuss any testimony they may have given to the grand jury, although it is unknown if they were subpoenaed to do so. If the grand jury were not to issue any indictments, Cohen said there are only two possible outcomes. One is the jury will dissolve and any evidence it gathered would be forever sealed, barring a leak. The other option is for the jury to issue an investigative report, which essentially means it found no criminal liability on the part of any individuals but did find problems with how an organization is operating. “The grand jury may in fact come up with nothing and they may not find anybody to indict, but the jury might say we find the following flaws in the bidding process,” Cohen said, adding that investigative reports are rare.